I’m finally back with another project. Summer is over and (almost all) the kids are back in school. It’s really nice to be back on a schedule and have some time to do crafting again. It was nice to take a break over the summer, but it was fun to start creating again. 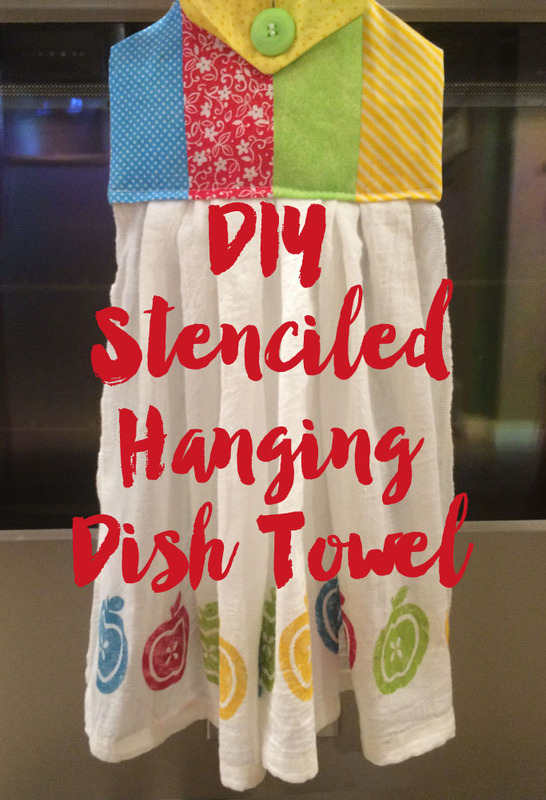 One of my favorite projects for my house is this stenciled dish towel. 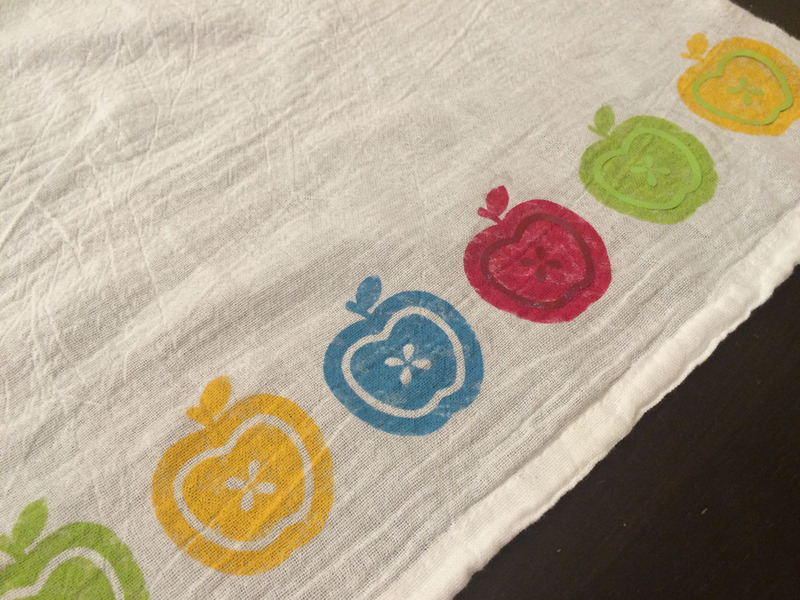 My kitchen has hardly any wall space and I don’t put decorations on my counters, so I loved having this towel to add some color to the room. I decided since fall is just around the corner, it was time to make another one. 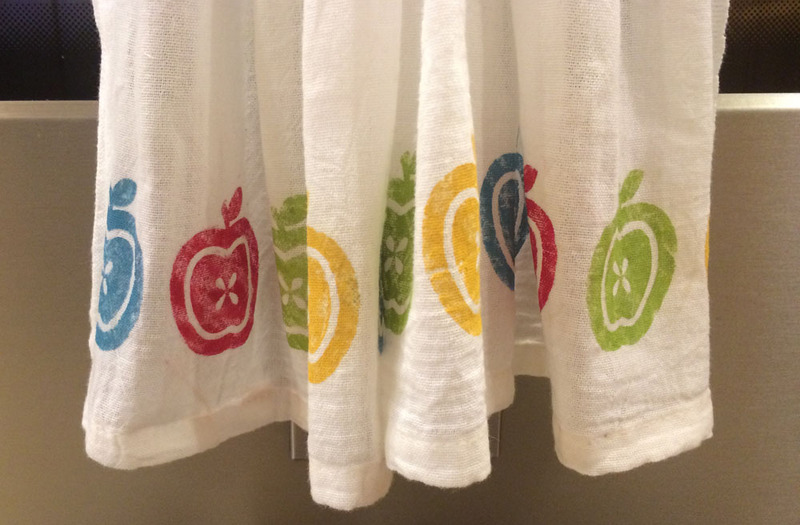 Start by applying the vinyl stencil to your towel. Carefully paint the apples in some fun fall colors. I used a foam brush and lightly dabbed each apple with paint until it was mostly covered. Carefully remove the vinyl stencil. I love this part! It’s so exciting to see how the designs turn out. 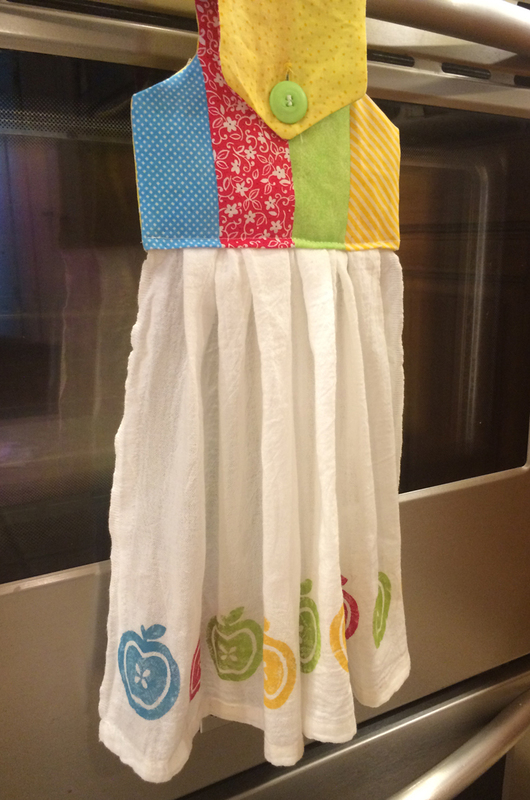 You can just hang your towel as is, but since I have a little one who can easily pull it down, I decided to make a hanging towel. 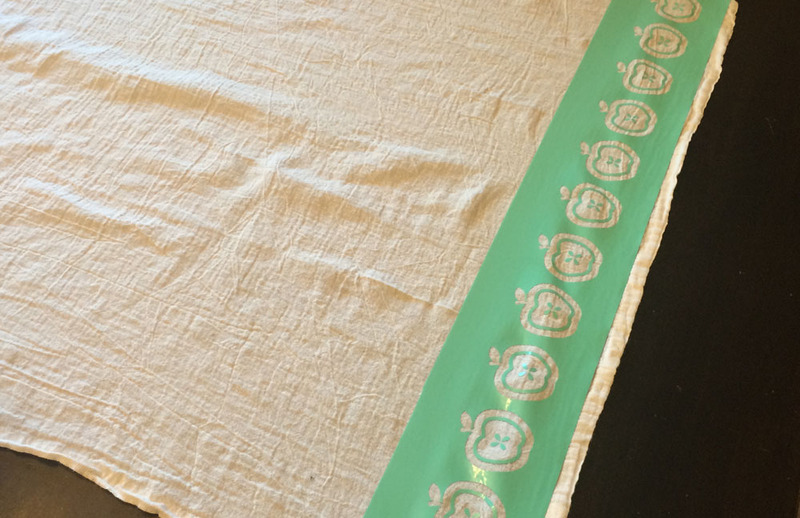 I basically followed this tutorial, I just cut my towel in half before attaching it to the fabric. Since I cut it in half, I now can make another one for a different season. Halloween, maybe? Good to see you back in the saddle again! Love your designs! Cute project! 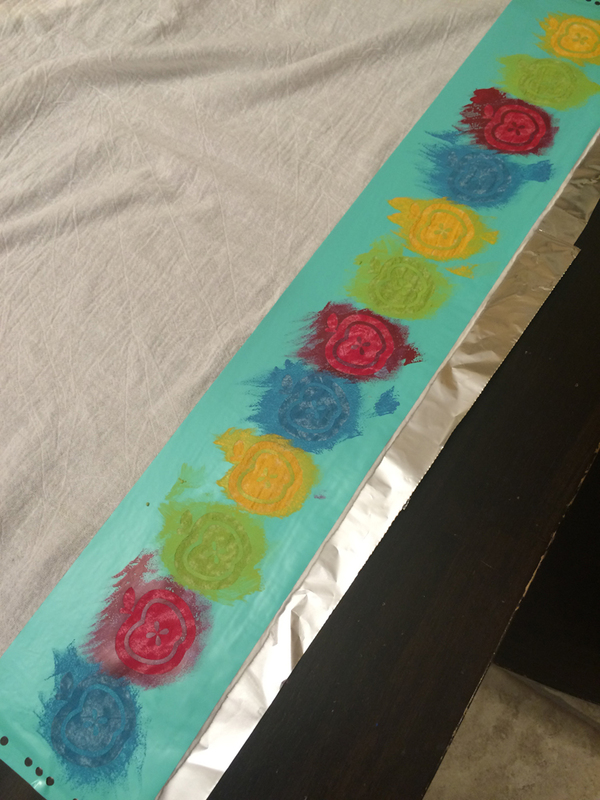 I have never tried the stencil method. Thanks! This is so nice! I could make some kind of "Christmasy" motif for chrismas gifts! Thank you for idea! So glad to see you are back! I love your fresh style & always take a moment to pray good things for you & your family when I see one of your designs! Thanks for sharing!